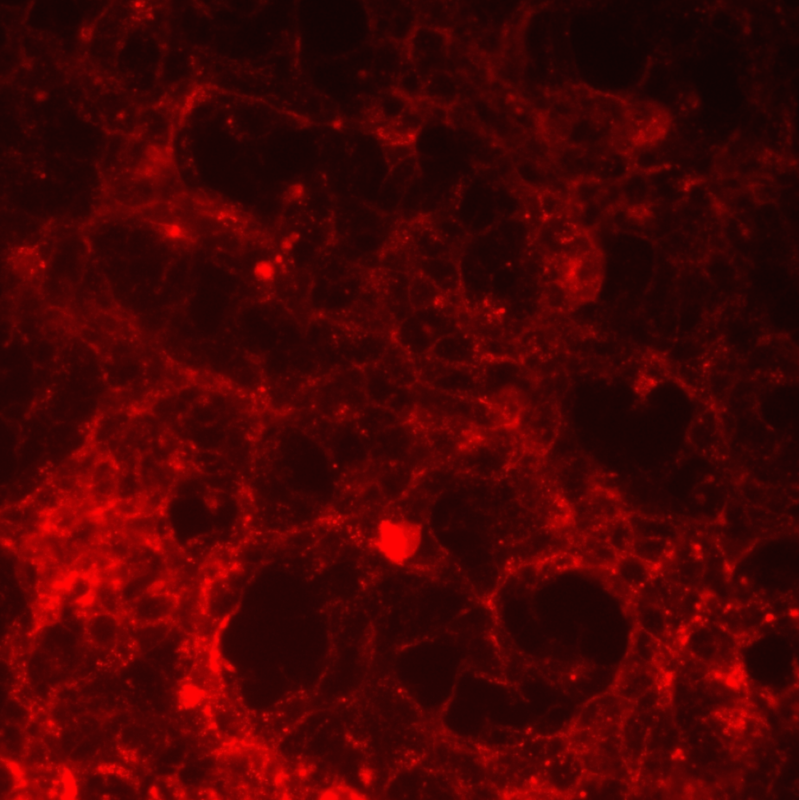 HEK-293 cells were transfected with the p75 neurotrophin receptor and were labeled with Cy3 labeled 192-IgG (20 ug/ul). Analysis performed on a Leica DMIL Fluorescent Microscope. Image was captured at 20X magnification using SPOT imaging software. 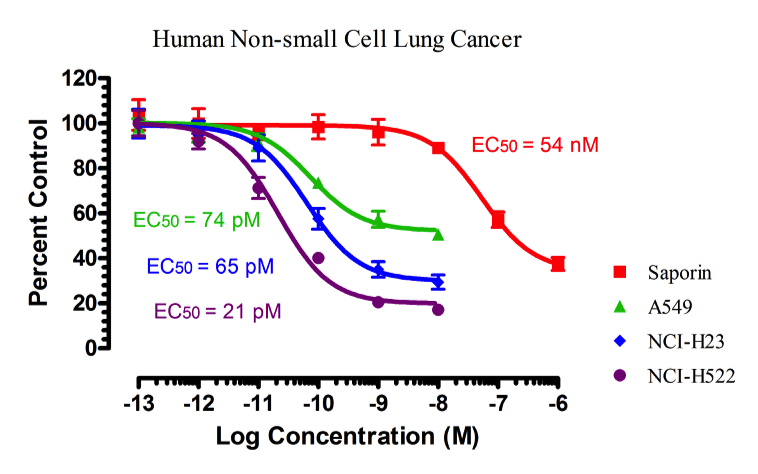 Three Human Non-Small Cell Lung Cancer cells line were challenged with an antibody directed to a cell surface receptor conjugated to the ribosome inactivating protein saporin. Saporin alone was used as a control. 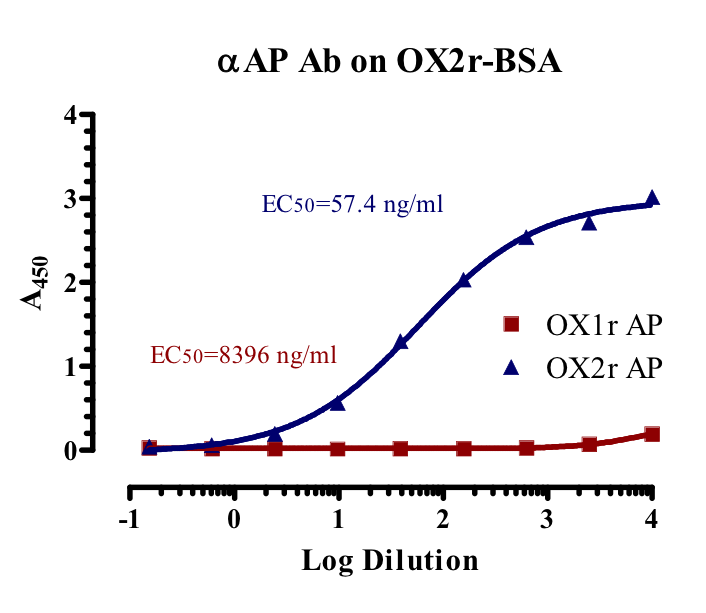 This type of assay allos for a large number of targeting agents to be screened quickly and cost-efficiently for specificity, functional binding, internalization, and EC50 determination. 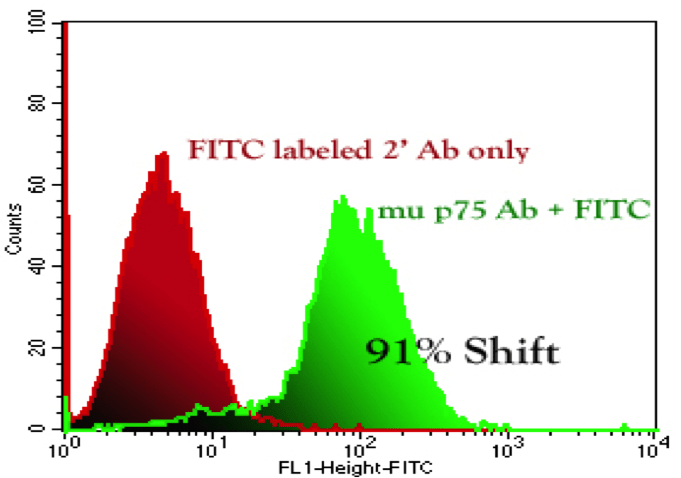 NG6 cells (Clone of NG108-15 cells, a fusion of mouse neuroblastoma and rat glioma cells) were stained with 4 μg of mup75 antibody for 1 hr, washed, and subsequently incubated for 30 minutes with Anti-Rabbit FITC (2 μg). Data acquired on a BD FACScan and processed with CellQuest software. 91% positive shift seen. Order online, via telephone or fax.